It’s part of a whole load of content coming with Blizzard World. There’s a lot of new Overwatch content coming to the game next week. Blizzard’s just begun teasing it in the six days leading up to the content drop. On Jan. 16, Blizzard confirmed that its new map, Blizzard World, will release on Jan. 23. 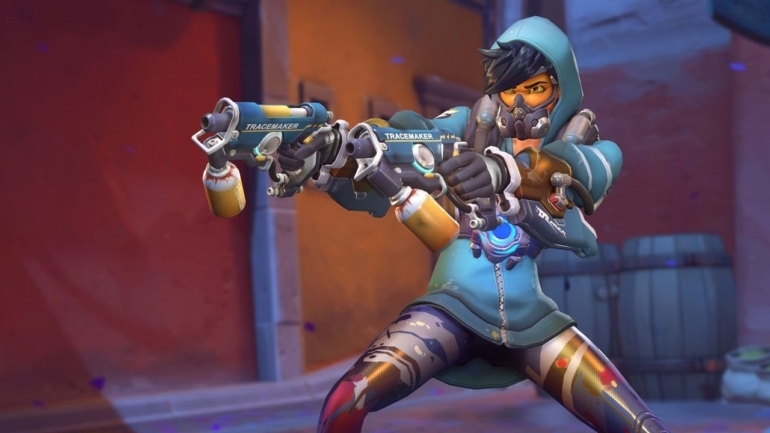 With it, a whole bunch of new Overwatch skins and other items will be added to Overwatch’s base loot boxes. We already know we’re getting Blizzard-themed skins, but there’s a lot more that hasn’t been revealed. The first reveal is a huge amount of new, adorable Overwatch hero sprays. Most of them are the heroes dressed in skins we’ve seen before—a few of them are unreleased Blizzard-themed skins—but some may be teasing more new outfits for Overwatch heroes. D.Va, Hanzo, Pharah, and Lúcio all appear to be sporting brand new skins. They’re hard to make out—the only one we’re confident naming is the D.Va cat skin. We’ll know for sure when Overwatch’s big content drop arrives on Jan. 23.